JobDiva is proud to announce that their leading, global Applicant Tracking, Talent Management and Customer Relations solution has been named a ‘Pacesetter’ on Software Advice&apos;s 2018 quadrant, powered by Gartner methodology. 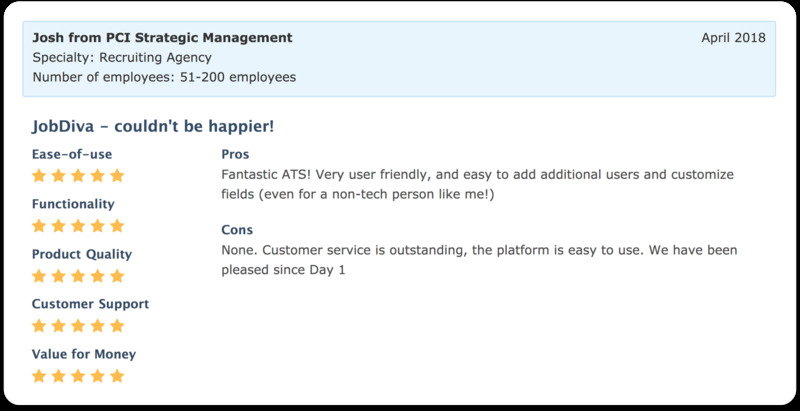 Software Advice offers a trusted library of software ratings, including for Applicant Tracking Software. 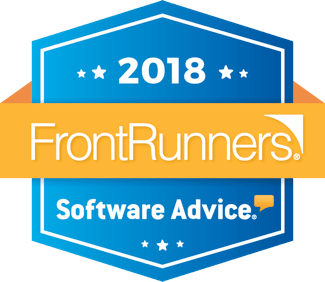 Wise and forward-looking, the Frontrunners quadrant often names the most powerful players in a specific software space. And industry leaders often look to the Frontrunners quadrant when making choices about staffing technology. Source: Software Advice. To see more reviews, click here! 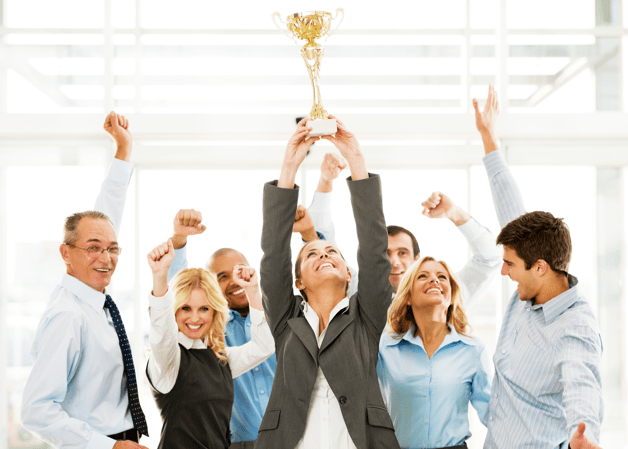 JobDiva&apos;s leadership is pleased that JobDiva—no doubt the most significant advance in the recent history of staffing software—has been named a Pacesetter in Applicant Tracking Software. JobDiva&apos;s broad, rich set of tools helps their clients become dynamic recruiting powerhouses and industry leaders. In the process, JobDiva shifts expectations in terms of what staffing professionals expect and want from Applicant Tracking Software. Recruiters save time; managers can perform their tasks more effectively and intelligently. With JobDiva&apos;s multi-layered solutions, professionals can leave on time five days per week, all while maximizing revenue. JobDiva&apos;s solutions and tools set the pace for the Applican Tracking Software space, according to Software Ratings. JobDiva&apos;s platform has also been recognized as a 2018 Top Rated Recruiting Software by TrustRadius, another major player in software ratings. Overall, it&apos;s clear that JobDiva is setting the standards in Applicant Tracking Software. Consistently recognized as a game-changer, JobDiva represents a stunning step forward for staffing and hiring technology, offering a full suite of dynamic, best-in-class recruiting technologies.